for over 150,000+ happy hearers! Liberty Hearing Aids offer a broad range of the latest high-quality hearing aids that will help you once again enjoy the sounds of life. Free one year warranty with options to extend to up to four years. Affordable 24, 36, and 48 months options available with fixed APR. Toll-free helpline plus complimentary in-club visits with your hearing specialists. 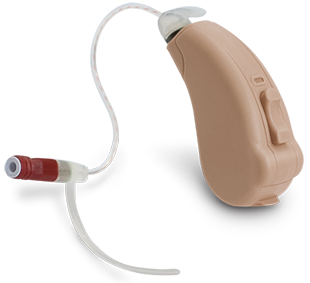 All Liberty Hearing Aids utilize patented Powered by Lucid® smart technology, allowing you to hear more of what you want and less of what you don’t. Superior to traditional “compression” hearing aid technology, Powered by Lucid innovations incorporate automatic adjustment algorithms developed for use in cochlear implants to optimize the listening experience of the ever-changing acoustical environment. Liberty Hearing works every day to make a difference in the hearing aid industry and to our valued customers, with unparalleled sound quality at an amazing value. Exclusively available at Sam’s Club, Liberty Hearing Aids offer a broad spectrum of options to provide the best match to your needs, hearing loss and budget — to ensure you hear well wherever you go. And remember, hearing exams are always free of charge at Sam’s Clubs. Are you ready to discover the difference hearing better makes in their health, relationships and enjoyment? It was easy, educational and best of all, I can hear again. The birds, the symphony, the football scores - all beautiful. My Hearing Specialist really knew her stuff! It was almost like magic… I am hearing like I haven’t heard in years. It only took a few adjustments for my aids to feel like they were just part of my old ears! After shopping around, it was easy to understand the Powered by Lucid difference. The sounds are just crisper, clearer, more natural. So much more comfortable than I expected. Make an appointment at a Sam’s Club near you. Have questions, comments or need support? Contact us at 800.785.6052, email us at liberty@libertyhearingaids.com or fill out the form below. We are here to make sure you never miss a moment! Liberty Hearing works every day to make a difference in the hearing aid industry and to our valued customers, with unparalleled sound quality at an amazing value. Contact us today to schedule a complimentary hearing test at a Sam’s Club Hearing Aid Center near you, and to learn more about our full range of hearing enhancement and protection products.